Commercial Roofing Services | Peddie Roofing & Waterproofing Ltd.
Peddie Roofing specializes in preventative maintenance programs for single story and high rise commercial roofs. Every roof is unique. A maintenance program . . .
Every roof is different. That is why a custom created maintenance program is required that will accommodate the needs of your roof – not those of the building down the street! A regular inspection and maintenance strategy allows for life cycle planning and budgeting. Value-based maintenance scheduling will retain the integrity and extend the life of the roof far beyond warranty periods. Peddie Maintenance Plus is a five-year preventative roof maintenance plan designed to maximize the life of a roof assembly while minimizing longer-term costs. 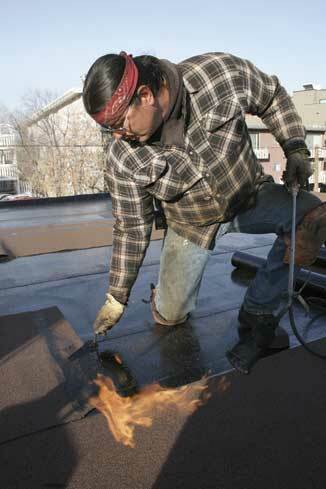 Anticipating roof wear through regular inspection and maintenance allows for life cycle and budget planning. Following an extensive inspection and detailed report (see inspection), we develop a five-year maintenance plan. We recommend a program that includes annual inspection each year accompanied by a written report. 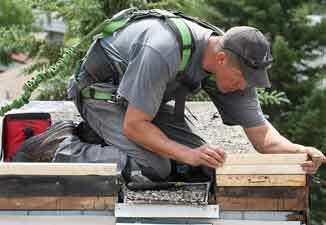 Peddie Roofing & Waterproofing Ltd. is a commercial roofing contractor. We construct, repair and maintain roofs from single storey commercial structures to large industrial and high rise complexes. © Copyright 2015, Peddie Roofing & Waterproofing Ltd. All Rights Reserved.